When autumn starts (or mid-summer for some supermarkets) in the Netherlands everyone gets ready for Sinterklaas. 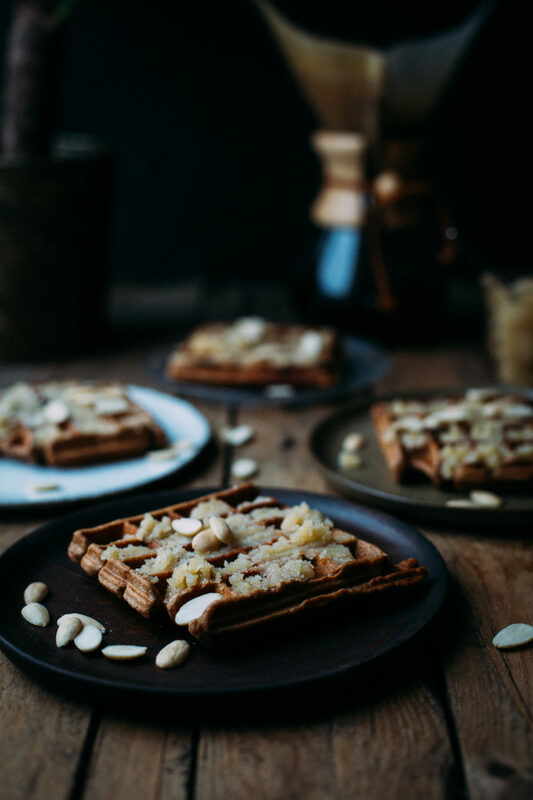 One of the typical Dutch sweets around that time is speculaas. I love to eat it along with of course my all time favourite marzipan. One of the things which I love about this waffle recipe is how easy it is. 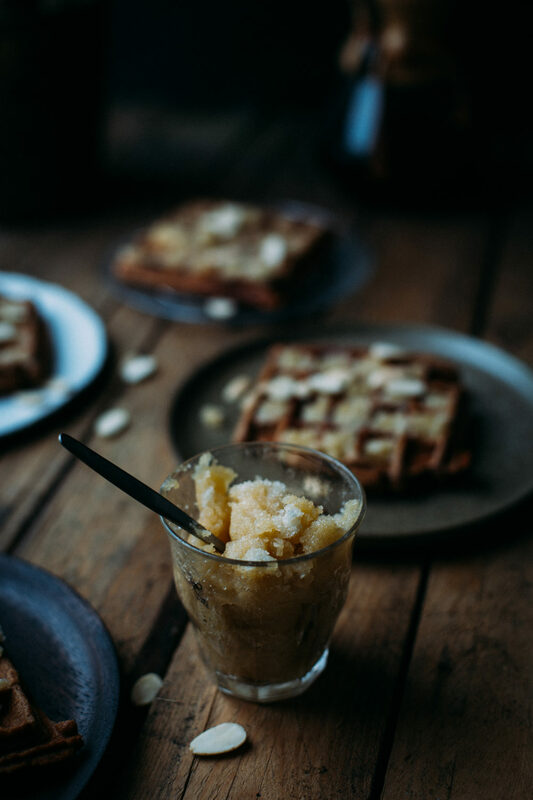 Just grind store-bought speculaas and mix in an egg to combine it into a delicious waffle perfect for dessert. In a food processor grind the speculaas really fine. Move it into a bowl and add the egg. Mix until combined. Heat up your waffle iron and bake about 7 to 8 waffles using this recipe. 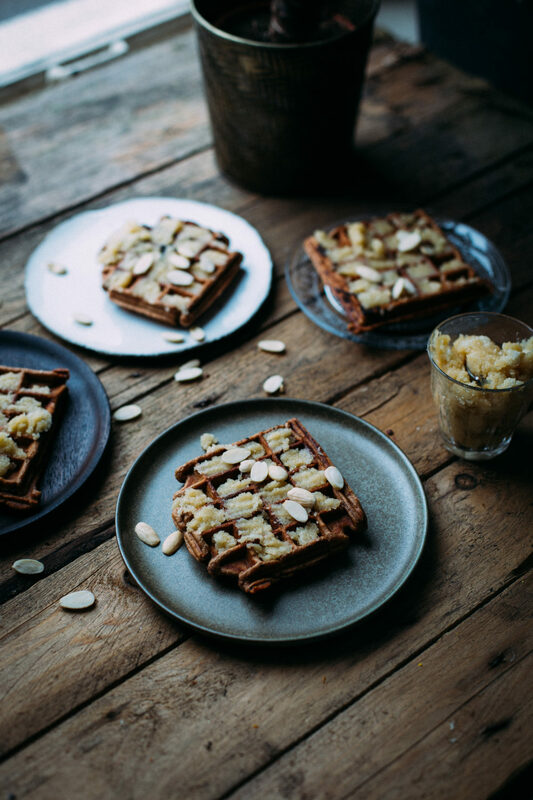 Add in the almond paste into the squares of the waffle and serve with caster sugar and fresh almonds on top. Enjoy!